I took the original shot of this sunset through a rowan tree last summer in Warkworth. I edited the photo in ShockMyPic not once but over and over again until I achieved this. I love the result as it reminds me of a woodcut print of the 19th Century. I edited this shot in 100 Cameras. I love the way the pale green looks like lichen and the luminescence in the background gives the trees depth, of course that dreamy blue is always a winner. Hope you like it,let me know. 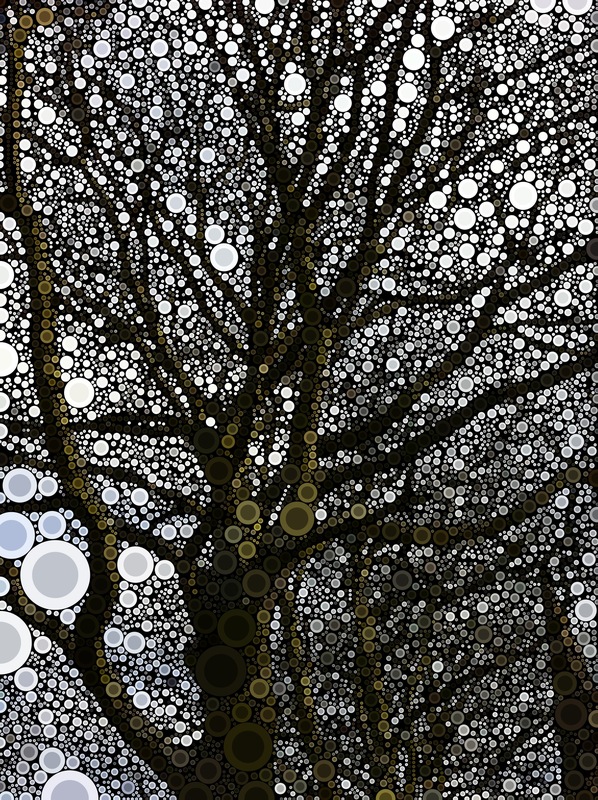 I took a shot of these winter trees and edited them in Percolator. 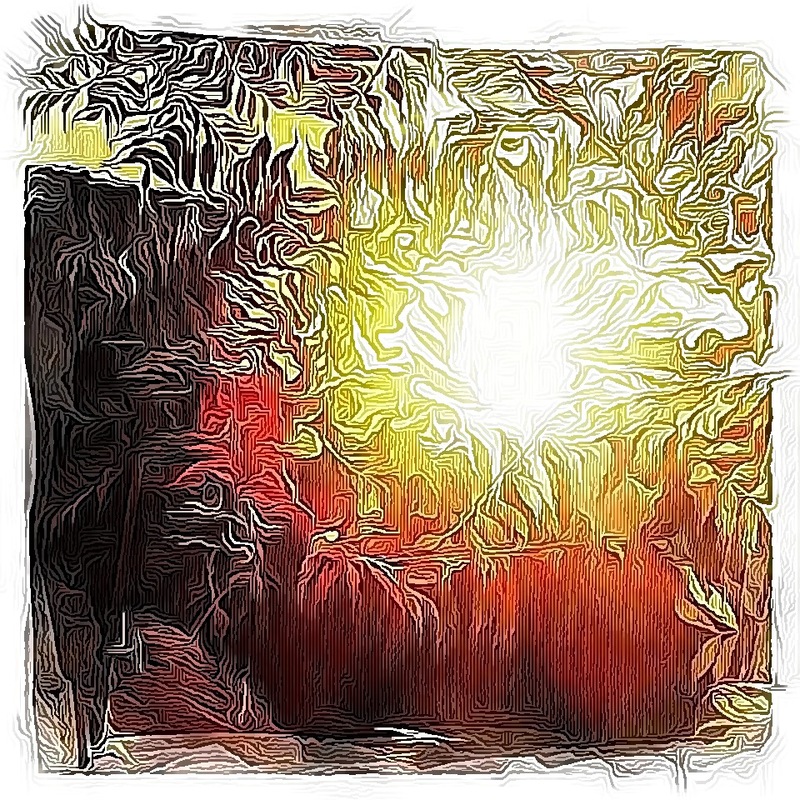 They have a great blog so click this link Percolator Blog and have a look for yourself. I love this app and think it’s a great addition to anyones i Phone. Another double spread in my little quote book. I used water soluble wax pastels by Reeves and Neo Color II crayons for the background. 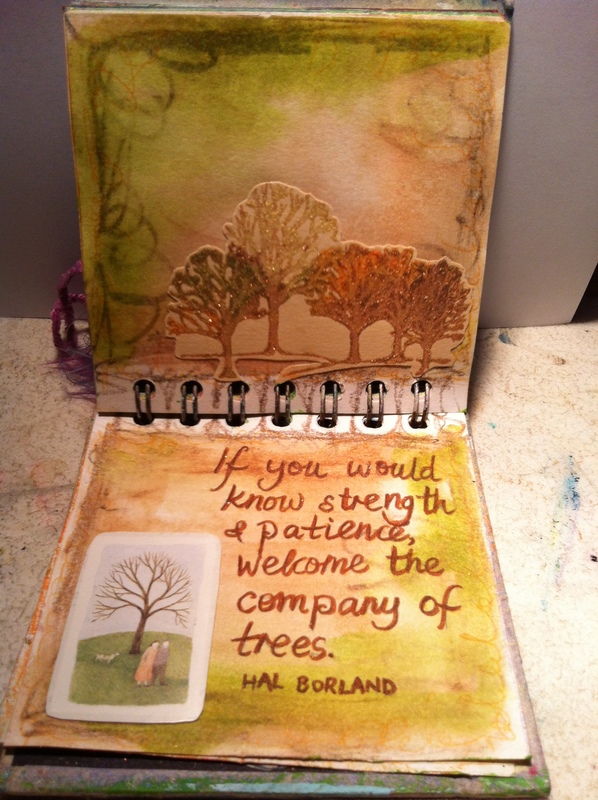 I stamped the trees with Pebeo Touch paint and added embossing powder to the wet paint and heated it. The little picture was from an old calendar and I trawled the internet for the quote. “If you would know strength and patience, welcome the company of trees”. Sometimes I find the quote first, sometimes I make the page first and find a quote to fit. I’m looking for a quote about Cherry Trees, has anyone got a good one I could use? 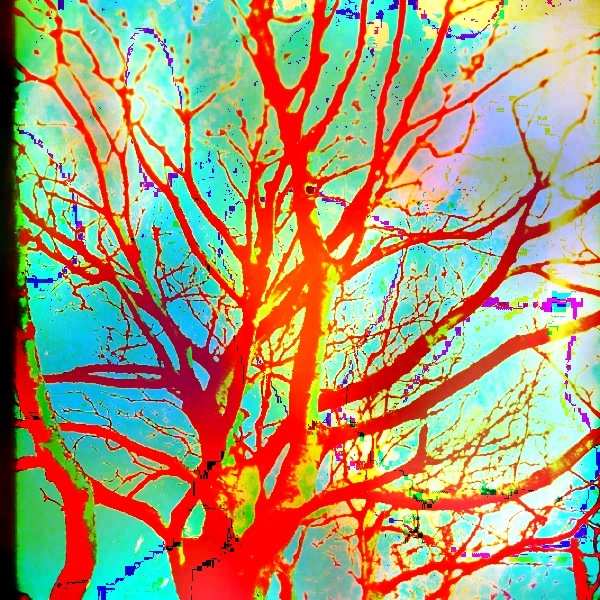 This photo was altered in an i phone app called ” 100 Cameras in 1 “. I altered it several times with different effects, one on top of another. 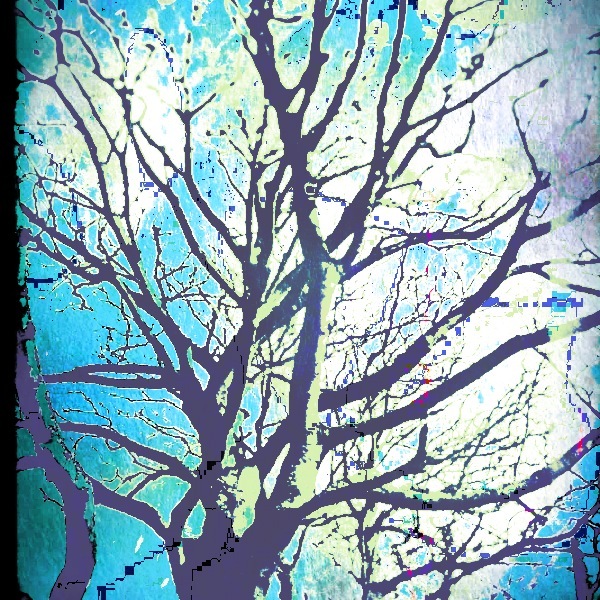 What was a simple shot of a winter tree becomes an abstract kaleidoscope of colour.